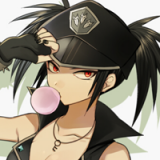 Historically NA version BB isn't compatible with JP version DLC colors, but for BBCP, ASW simply released magazine code colors as a free DLC pack for the NA release. This is mostly incidental since most people don't use Stylish and even fewer people appreciate its existence, but there were some major changes to how the mode works going from BBCP to BBCF. Stylish is no longer missing normals or special/super inputs from Technical. As far as pressing the ABCD buttons in neutral go, other than a lack of manual Barrier (you still auto-barrier-guard all attacks), everything works exactly the same in Stylish as it does in Technical. This means you can do specials and supers the real way, and perform RCs, CTs, and CAs as normal. Instead, like Xrd Revelator's Stylish, there is now an additional SP button (which can be assigned in button settings and doesn't do anything in Technical) for Stylish mode that has specials and super assigned to it. The general trend seems to put DPs (with their invincibility removed) on 5SP, other specials on 2, 6, and sometimes 3, and supers on 4SP. This limits Stylish mode to one simple input super (4SP, which also changes into Astral if the conditions are met), but is probably done because you can technically do all the supers anyway (the traditional way). The auto-combo system is still pretty much the same, but now, if conditions are met, Stylish mode will actually auto-confirm into Astral. The gauge only fills when he uses his "hit me here!" special, with it filling more if he's hit during that special, so simple loss of life doesn't have much to do with it. True, but I don't think Merkava's had a blind spot for being too close either. By the sounds of it his command grabs have a specific range (and a blind spot when too close), and one catches out of the air while the other catches people on the ground? Even if it was an actual grab, that doesn't sound like it'll be too absurdly strong. It was an announcement made by Aksys (not ArcSys), so who knows? Any specials performed from a dash will enhance his specials and distortions. Interestingly enough, it seems he's able to even cancel dash cancels into enhanced specials/distortions. Mortal Counters are pseudo-RCs, they allow you to cancel into anything. You can do silly things like Mortal Counter flashkick first hit into flashkick, or Volcanic Viper first hit into Fafnir. The reason Leo does non-stance normals off of Mortal Counter stance attacks is because you're pressing the button before he's allowed to gatling, so he performs the Mortal Counter cancel instead. I wouldn't trust the second reviewer's score, lol. Apparently she's new to BlazBlue and is just there to give a perspective from "a woman and a novice". With the revision that you meant active frames, they actually do allow you to YRC normals once they're active - the YRC window for Sol's seems to be startup + 6 frames, which I imagine is the general rule among the cast. Well, that's an odd perspective to take, since as I mentioned, there were very little actual noticeable differences between the JP and NA versions of Xrd -Sign-. Whether Aksys was already actively collaborating with ArcSys throughout development or something else, the only things I saw that changed were: - In PSN, players with GUILTY GEAR XRD -SIGN- are playing the Japanese version, and players with Guilty Gear Xrd -SIGN- are playing the North American version - The NA version, in addition to all the other company logos, also features the Aksys logo. I imagine the extra two weeks were spent on simply finishing up all the publisher work (box and manual/codex localization, getting the game on the PSN Store). I suppose now would be a good time to note that there's very little functional difference between the JP and NA versions of Xrd -Sign-, even in terms of language. Hell, the JP version even defaults to English text and voices if it notices your PS3's regional setting as NA. I'm actually not entirely certain what was done for the localization specifically that took two weeks to release (I guess PSN puts you down as playing Guilty Gear Xrd instead of GUILTY GEAR XRD), but it'd be a strange turn of development if they didn't bother with supporting the NA scene for Revelator. Here's what I got out of that: THROW CLASH - You can clash throws. The timing window is notably tiny. - Airthrows can also be clashed. BLITZ SHIELD - Crouching Blitz Shield no longer Rejects mids (attacks that can be blocked both crouching and standing). - Successfully Blitz Shielding an attack now regains a small amount of Burst Gauge. - Blitz Shield can be charged, after which an attack will be performed. During the charge, Blitz Shield remains active and will Reject any attacks that can be validly Rejected. - Blitz Strike itself has no invuln or Reject. - Blitz Strike can be blocked at any level of charge. - Fully charged Blitz Strike cannot be Blitz Shielded, but all partially charged versions can. - Hitting with Blitz Strike will both regain a small amount of Burst Gauge as well as reduce a small amount of the opponent's Burst Gauge. - Partial charge Blitz Strike causes a nearly full-screen blowback that will cause wall-stick if near enough to the corner. - Fully charged Blitz Strike causes crumple. DUST HORIZONTAL HOMING DASH - A new animation has been added for a horizontal followup dash from Dust. - If you choose this followup, the opponent flies backward for a little bit while falling, then enters sliding state once he hits the ground. - Like the vertical followup, you have a short time in which you can gatling normals into any other normals including themselves. - During this time, EVERY hit you land refreshes sliding state. - Once this special Dust state ends, sliding state also immediately ends. - Like -Sign-, connecting with an attack while in the corner during this state causes wall-stick. SLAYER - Is now voiced by Toki from Hokuto no Ken. BURST OVERDRIVE - You can now enhance the damage of certain Overdrives (supers) by spending your Burst. Press D instead of the usual button to do this. - If you are able to perform a Burst Overdrive, your character will have lightning effects. - When you perform a Burst Overdrive, it shows BURST in the bottom corner during the cinematic startup. - Using a Burst Overdrive spends ALL of your Burst gauge, but hitting with the Overdrive will refill about 1/3 of the gauge. - Hellfire Burst Overdrive will deal damage to your soul. Don't get hit by it. Can someone translate the Blitz Shield description? http://www.ggxrd.com/rev/ac/system/ I think that mechanic change is the most confusing to me right now.